This image was made on the front of a postcard during Herman's two-and-a-half month visit to Israel at the end of 1952. 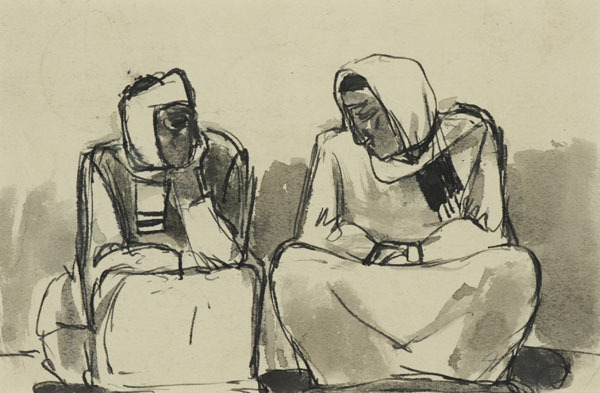 The artist later recalled that he could not stop drawing and produced over 200 drawings in ten weeks, many of them of the Kibbutzniks. The strong, earthy figures and monumental forms show Herman's respect for those who worked the land. 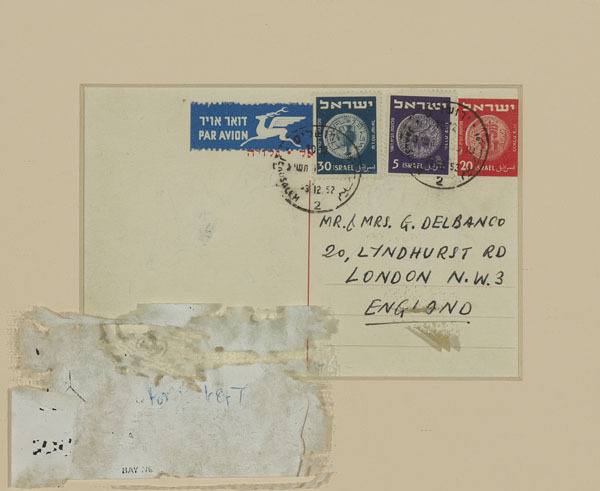 This postcard was donated by the addressee, Gustav Delbanco, one of the three eponymous gallerists of Roland, Browse and Delbanco, established in London’s Cork Street by Henry Roland (né Heinz Rosenbaum) and Gustav Delbanco, both refugees of German-Jewish origin, together with Lilian Browse, in 1945. Herman had his first solo show there in 1946 and went on to exhibit with them for almost 30 years. They also exhibited a number of other émigré artists postwar including Jankel Adler, Alfred Cohen, Heinz Inlander and Katerina Wilczynski.